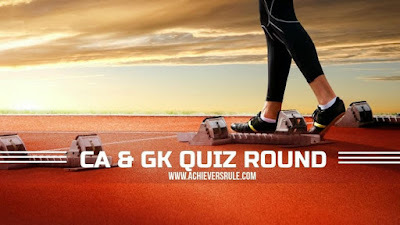 Daily Current Affairs Quiz - 4th April 2018 consists of a set of 15 questions based on the recent Current Affairs headlines and other Latest News headlines. These are important for the upcoming government examinations of Bank, Rail and SSC. Aspirants should go through them in details for better performance in the examination and should also practice the Current Affairs Updates and Static One Liner and GK Note Down Points for better improvement in the examination. Q2. Who has been appointed as the Chairman of the Lalit Kala Akademi? Q3. arbitrage rate index has been launched by ? Q7.According to the Bloomberg Billionaires Index 2018 of the world's 500 richest people who is the richest person in India? Q9. India's direct tax collections grew at __________ in the current fiscal. Q15. A doctor from __________ Natgeo award for physical therapy app ?